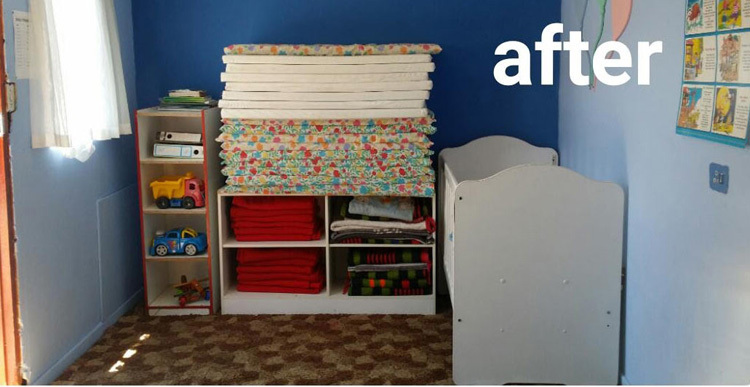 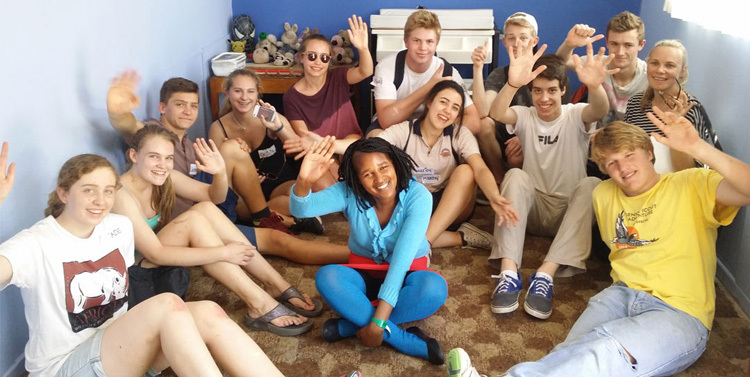 On this sweltering Monday morning, 13 teenage students from the International School of Cape Town arrived at the Noncedo Educare Centre in Mfuleni, where, under the leadership of Newkidz on the Block Team Leaders completely transformed the baby room of this Educare Centre. 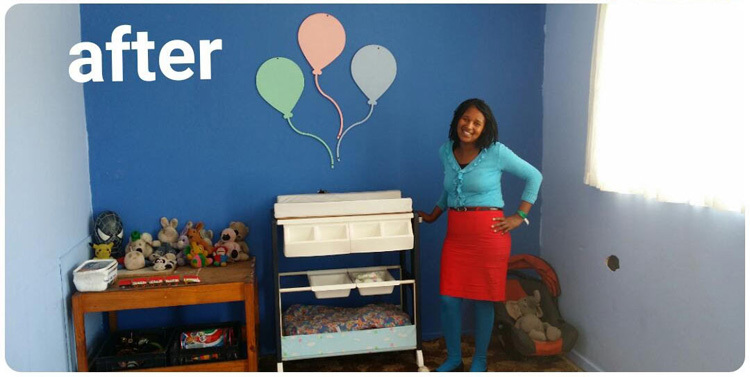 They repainted; redecorated and cleaned this classroom that accommodates 18 babies. 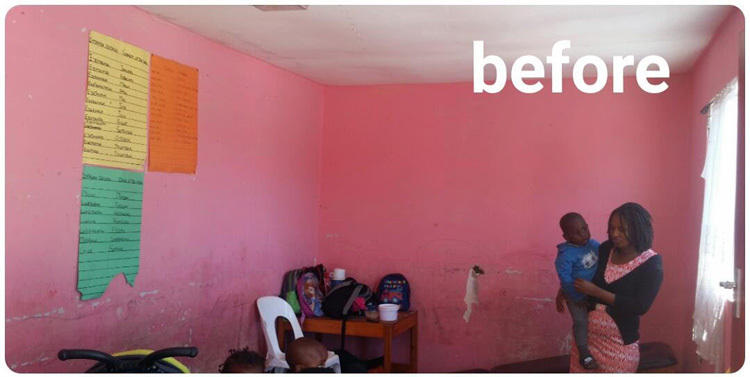 They also did much needed repair work like, for example, closed the gaping holes in the wooden panel walls as well as fixed the wooden swing structure in the playground. 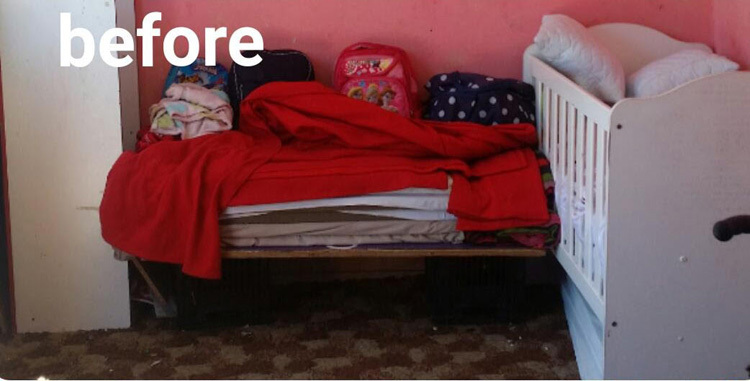 From the various donations-in-kind that Newkidz on the Block receives, we were in the fortunate position to be able to share these with this centre and in turn brightened up this previously grubby room. 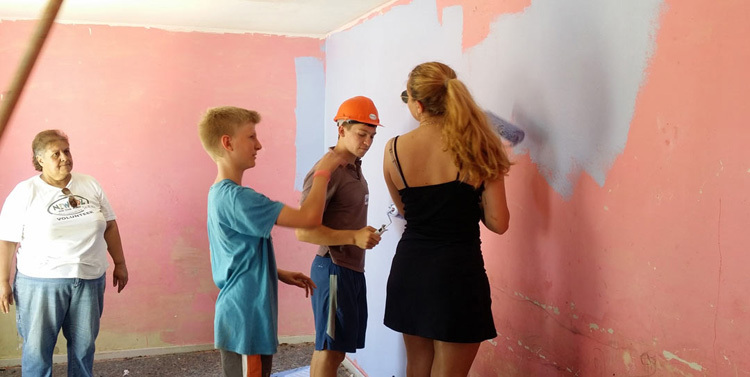 I can only believe that everyone who helped on that day was glad when it was over as the sun and heat was relentless but because of their perseverance, the end product was beautiful!